Chitwan National Park has long been one the country' treasures of natural wonders. The park is situated in south central Nepal, covering 932 sq. km. in the subtropical lowlands of the inner TERAI. The area comprising the Tikauli forest-from Rapti river. Eden jungle resort is located in Sauraha village and it is also in the boundary of chitwan national park. It has rooms in cottage as well as in building. The rooms are standard room as well as deluxe room. It also has restaurant serves delicious food. Chitwan Nepal a must see place in Nepal for animal lovers and for those who wish to have a bit of Terai experience! 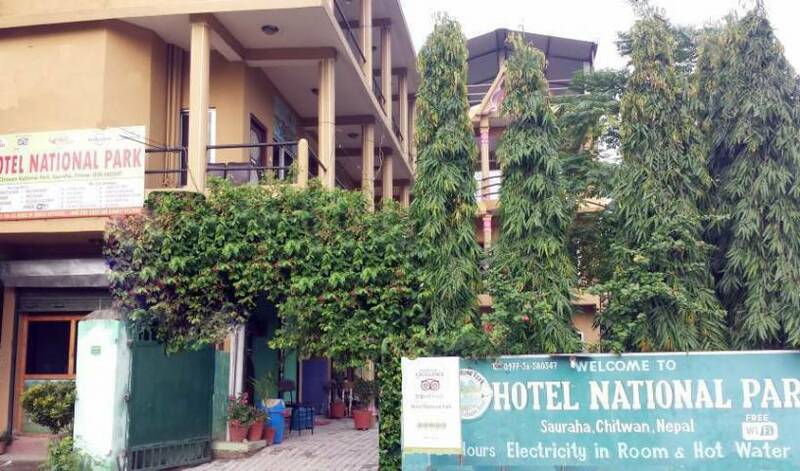 Sauraha Nana Hotel is our newest addition chain hotel in Sauraha, Chitwan. The Hotel is built with all the modern facilities near the Chitwan National Park. We provide clean and comfortable accommodation with 24 hours free Wi-Fi, hot and cold water. Chitwan Gaida Lodge is situated in the heart of Chitwan National Park. Run & Managed by Asia's Leading Ornithologist (Bird Expert) Gaida Lodge has Cool Leafy surroundings with Flowers and cozy garden. Eco Adventure Resort, located right besides the entrance to the national park and close to the river Rapti, lies sprawled in an expansive property of delightful tropical plants and pretty flowers. Welcome to Hotel Buddha Land. Hotel Buddha Land has been the landmark not only for location but also for the budget segment in Thamel, Kathmandu. In short time Hotel Buddha Land has earned a special place for SERVICE with PRIDE in the mind of business. We are a cozy inn located at the central lakeside in Pokhara in a peaceful residential area, away from roadside hustle-and-bustle and noise of nightlife, just a short walk from the tourism hub of lakeside. Restful home at quiet corner of Thamel; free from crowd and hustle. 15 minutes walk from main tourist center of Thamel, 3 rooms for tourist, with shared bathroom, 24- hour hot, free WiFi and terrace. It is the well managed hotel in kathmandu. the building was built 2010 it has Renovated at 2012 We are committed to meeting and exceeding the expectations of our guests through our unremitting dedication to every aspect of the services we provide. Best tourist Standard Hotel in Kathmandu Nepal. Hotel Tenki has become one of the most renowned names in the hospitality industry. Ever since it has been established in 1995, this two star hotel in Kathmandu, Nepal. Our hotel has been designed keeping in mind safety, hygiene and comfort. Family Peace House is located in peaceful area of Thamel, Paknajol, Kathmandu. This guest house is run by profeesional, freindly people from Nepal. It offers clean, comfortable, friendly, peaceful stay in kathmandu Nepal. Free WiFi internet, Situated at Center Thamel, Free Pickup from the Ariport. Best Located River front Resort where reliable rate . 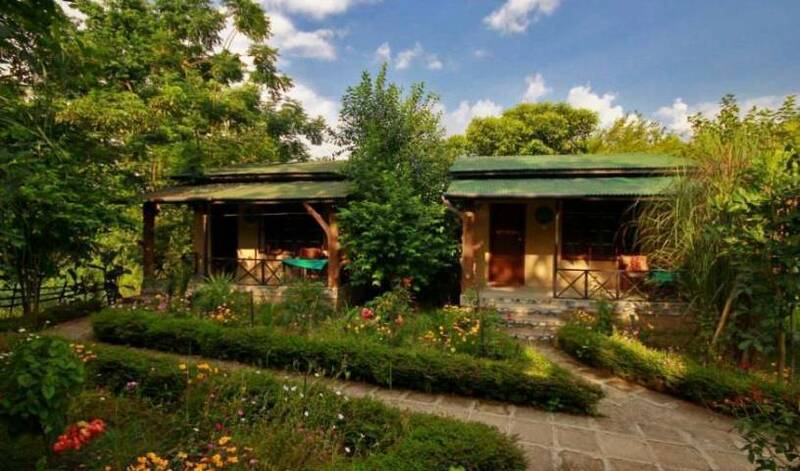 Eden jungle resort is located in east part of sauraha village. it is just 1 minute away from government elephant stable. it is one of the finest resort located in this area. Located in the heart of Kathmandu, Peak Point Hotel features a restaurant and a 24-hour front desk. It provides free Wi-Fi and free pick-up from Kathmandu International Airport, 30 minutes’ drive away. Offering a restaurant, Hotel Bubo Himalaya is located in Kathmandu. Free WiFi access is available. Each room here will provide you with air conditioning. Featuring a shower, private bathroom also comes with slippers. Extras include a desk and bed linen. Nestled in the heart of Thamel, Kathmandu’s historic landing pad for travelers, Trekkers’ Home offers comfortable accommodation for backpackers, trekkers and tourists from across the globe. 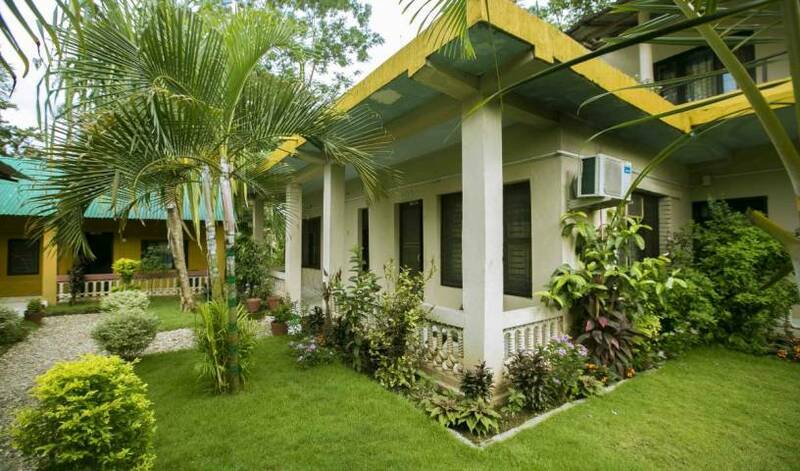 Peaceful Location with green garden, Comfortable stay, Reasonable price and friendly enviroment. Welcome to our Dream Nepal Hotel and Apartment. We are here for your precious holidays to provide best rates & facilities for hotel booking in Thamel, Kathmandu, Nepal. Well-positioned in Thamel, Kathmandu B&B Inn is the ideal point of departure for your excursions in Kathmandu. The hotel is not too far from the city center: just 0. 00 Km away, and it normally takes about 20 minutes to reach the airport. 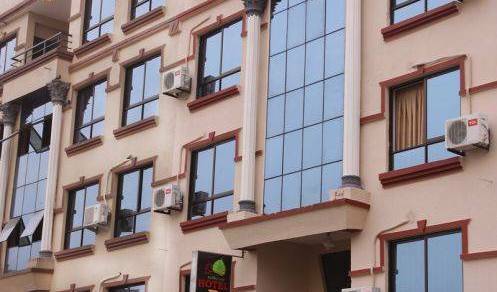 Royal Astoria Hotel offers 35 clean and comfortable room , located in the most quiet and pollution free area of Bansbari, Hattigaunda. Easy access to all tourist attractions. 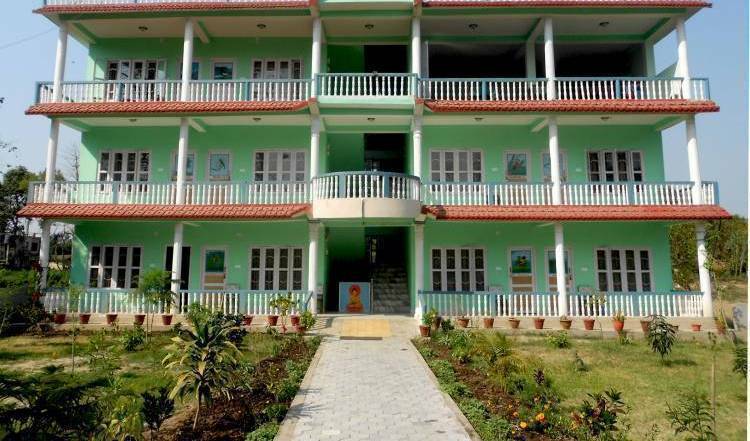 Home stay is a relatively new concept in Nepali tourism that connects a home with tourist. Through home stay we want to tell you all, you will never be a guest but part of our happy family. Located in the heart of Thamel, the Tourist hot-spot, Hotel Festoon despite being a fairly recent setup, you will be surprised at the professional demeanor with which each guests are handled. A surprising and astonishing structure, Hotel Holiday House is conveniently located at the heart of the city. The hotel reflects a unique blend of Nepalese cultural hospitality and every aspect of the modern-day renovation. Best to live in Kathmandu, Lalitpur, Nepal. 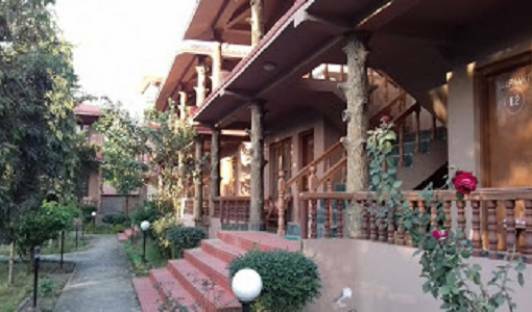 Taleju Boutique Hotel, centrally situated in Jyatha, Thamel, is one of the newly established boutique hotels in Kathmandu, it is designed by traditional Nepalese architecture and carving woods. An oasis in Thamel-Sitting majestically in the main tourist centre -the gateway to shopping, bars , restaurants and glamour. just 20 mins drive from tribhuvan International Airport. luxury apartment in nepal, cheap hotel in nepal, kathmandu hotel, nepal hotel booking. Yetiholets offers nepal hotels (2 star - 7 star hotels) booking in Nepal for all of you going to start a journey to Nepal. Nana Yala Chhen is the latest addition chain hotel in Patan, Lalitpur by the Nana Hotels. We provide standard and luxurious hotel service with 24 hours free Wi-Fi, high pressure hot and cold water in a safe and friendly environment at budget price. Himalayan Inn is keen to provide international standard of accommodation and service with warmth hospitality. Hotel Nana Pokhara is one of our finest chain hotels in Pokhara. We offer comfortable accommodation with 24 hours free Wi-Fi, high pressure hot and cold water in a safe, peaceful and friendly atmosphere at budget price. This is the nice hotel in the lap of biggest lake of Nepal and with a good view of mountains from the windows of the rooms. View Point HotelH & Hotel Splendid View are the perfect place for a longtime favorite stay in Pokhara for those who want a splendid view and still be very close to the Mountains and Lake. 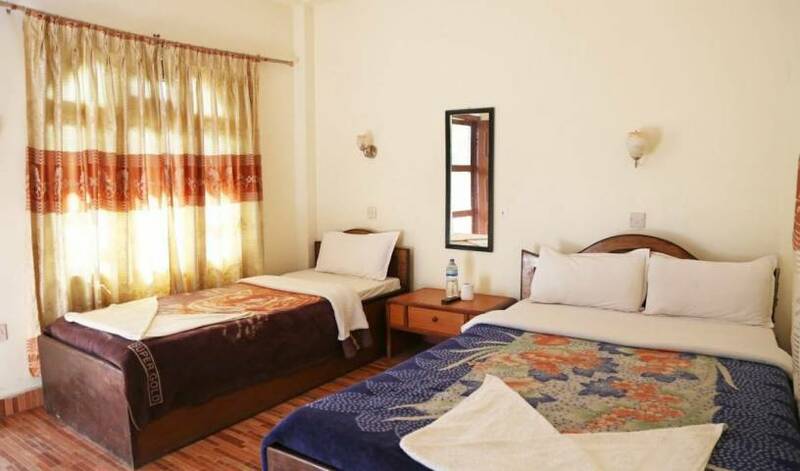 Established in 1979, Yeti Guest House provides 12 rooms with attached bathrooms. The lodge lies on the shores of Pokhara's largest Lake. Sufficiently set back from the main road to guarantee peace, quiet & privacy, there are just 16 rooms all with attach tiled toilets and 24 hours hot and cold running water. With Zorba-oriented attitude, the hotel carries out high-quality living standard and humanized management; make you feel comfortable and totally relaxed is the very theme running through all our services. By the bank of Phewa Lake at Waterfront Resort; one can engross in the simmering ripples of the lake listening to the sound of silence and experience the wilderness of exotic Pokhara. 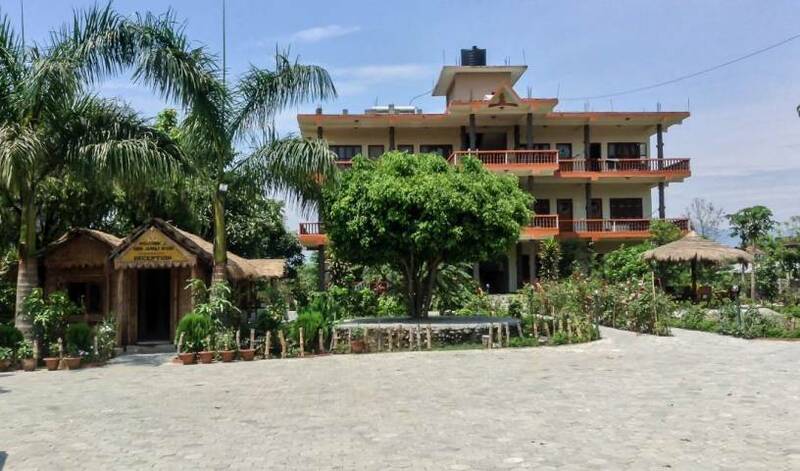 Pokhara Village Resort is newly prominent for a friendly place to stay at Pokhara, thinking as per need of global explorer, the rooms are designed in a way to feel as like as home while stay with us. Hotel Crown Himalayas ensure a pleasant stay for guests. This hotel offers numerous on-site facilities to satisfy even the most discerning guest. Peaceful Location, Comfortable stay, Reasonable price. Free airport pick up, Free internet, Quite and good location, Roof top garden and Balcony. 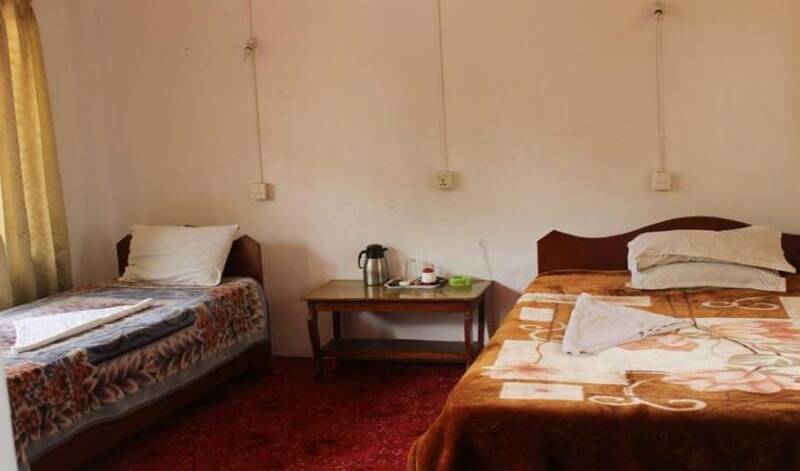 Kathmandu Madhuban Guest House has the great location just close to the tourist area Thamel. We are located in a peaceful area for sound sleep and silent rest. We are conveniently located from the airport, only 20 minutes drive. Family Peace House is friendly family run guest house in kathmandu, Nepal. It is located in quite area of Paknajol thamel. Then Best Budget hotel in Thamel, Kathmandu Nepal with free wifi internet. Andes Home is committed to serve best frankly service with reasonable prices for backpackers, families, business travelers, groups and individuals to an enjoyable peaceful stay in Nepal. It is located in centre of Thamel and close to Narayanhiti Museum. We offer a peaceful oasis in the crowded city of Kathmandu, just moments away from all the action.